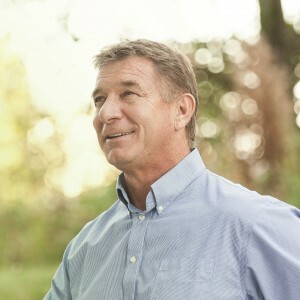 Renowned Paralympic athlete, sport advocate and prominent fundraiser, Rick Hansen is a leader in breaking down barriers for people with disabilities through his organization, the Rick Hansen Foundation. Hansen graduated from University of British Columbia with a Bachelor of Physical Education in 1986, and in 1987 he was awarded an honorary Doctor of Laws. Hansen was the first person with a physical disability to graduate with a degree in physical education from UBC. During his time at UBC, Hansen was recruited by coach and mentor Stan Stronge to be part of the Vancouver Cablecars, a well-known wheelchair basketball team. Hansen competed in wheelchair racing at both the 1980 and 1984 Summer Paralympics, winning a total of six medals: three gold, two silver and one bronze. The Man in Motion Tour, for which Hansen is best known, began in 1985 in Vancouver. The two-year, 40,000-km journey spanning 34 countries across four continents raised $26 million for spinal cord research and quality of life initiatives. The high-profile fundraising effort helped Hansen to launch the Rick Hansen Foundation in 1988. Since then, the foundation has raised more than $300 million to improve the lives of people with disabilities and raise awareness for the barriers they face. The goal of the foundation is to create an inclusive world where people with disabilities can reach their full potential. Hansen was also the driving force behind the International Collaboration on Repair Discoveries Centre at Vancouver General Hospital, contributing $8 million from his namesake foundation. Hansen continues to work with UBC on the Faculty of Medicine’s Brain and Spinal Cord Research Centre Campaign. Additionally, he holds honorary appointments to both British Columbia’s and Alberta’s Advisory Councils for Persons with Disabilities and the Ontario Neurotrauma Foundation. Hansen was appointed to Companion of the Order of Canada in 1987, given the Order of British Columbia in 1990, inducted into Canada’s Sports Hall of Fame in 2006 and into BC Sports Hall of Fame in 2007.